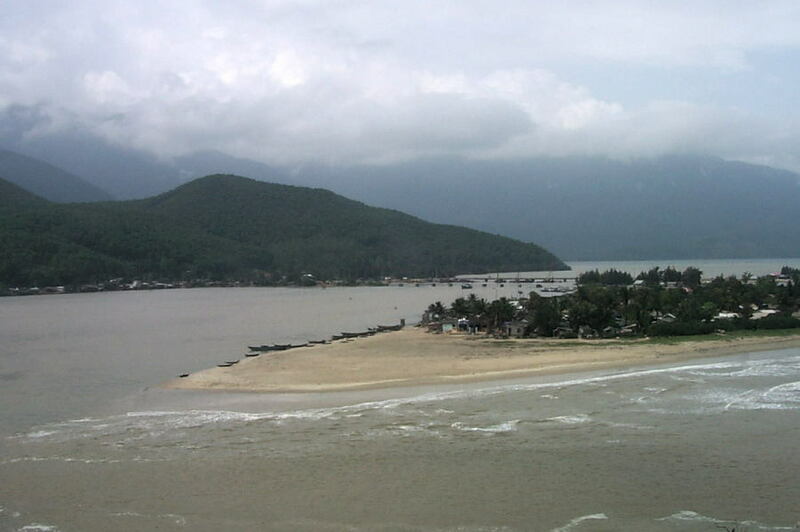 According to more than one guidebook, the drive from Danang to Hue is the most scenic in all of Vietnam. I've no reason to argue with that. Soon after leaving the town, you start climbing steeply upwards and are soon rewarded with a panoramic view of the bowl-shaped bay of Danang. Oh, and lest you think that's a great looking vacation spot at the bottom of the picture, you should know its a leper colony. After climbing through several hair-pin curves for close to an hour, you reach the crest of the Hai Van Pass. Here, if the weather affords it (which it often doesn't. Hai Van means "Sea Clouds"), there are views to both the North and the South. 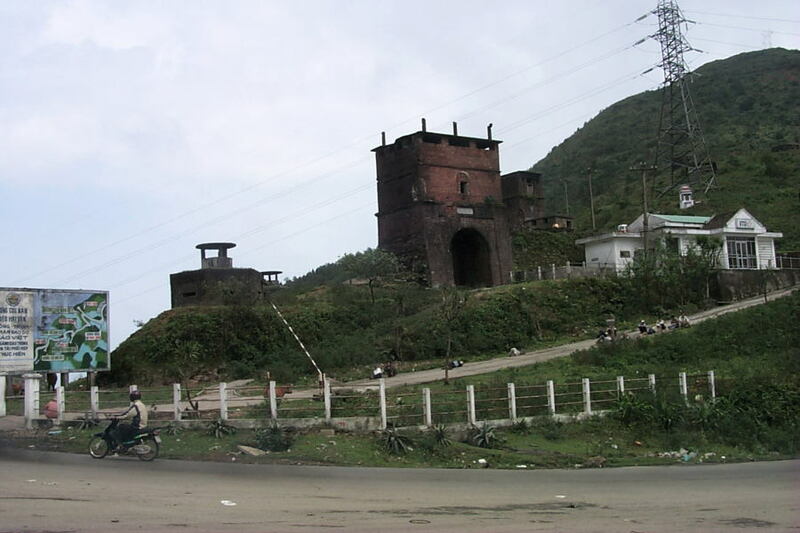 The pass forms an obvious boundary between North and South Vietnam, and if proof were needed, you need look no further than the fortifications built by the French and then later used by the South Vietnamese and the Americans. You will of course want to stop here if you make this trip, but be warned that you will have to fight off a large band of souvenir and snack sellers who are among the most aggressive I encountered during the whole trip. From the pass, you descend into a sequence of valleys and lagoons. The first you come to is the village of Lang Co. This picture at left does not do this little jewel justice. It sits at the tip of a long peninsula which separates a shallow lagoon from the sea. The village consists of one and two story houses, with an old church poking up in the middle. The swimming at the beach here is reportedly good when the weather is warm (from April to July). In any case, there's more than enough here to justify a stop for lunch or even a whole day's outing. Between Lang Co and Hue, you crest a few more small hills, each with its own new and unique vista just beyond. There are so many that you just have to stop yourself from taking pictures of every one. In all, it takes about three hours to make the drive from Danang to Hue.